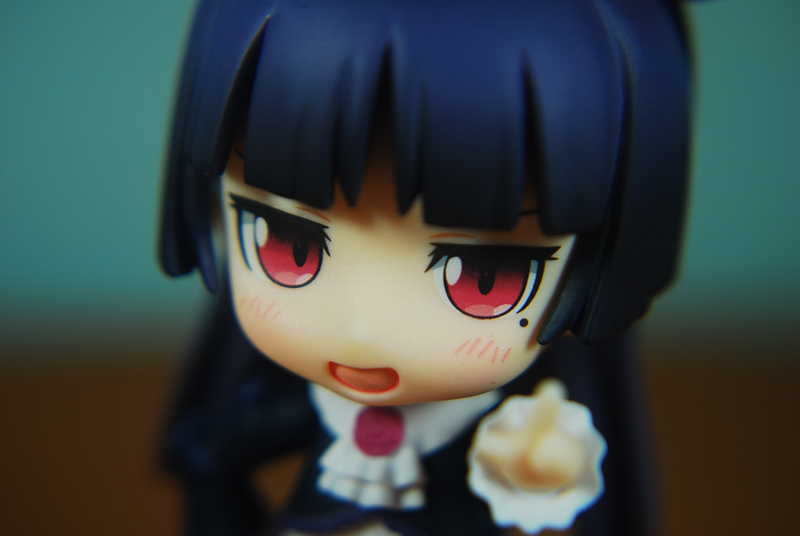 Here’s a quick review on Gokou Ruri / Kuroneko Nendoroid from Good Smile Company. It was released April 2011 at the SRP of 3333 JPY. At a glance this Nendoroid looks awesome! 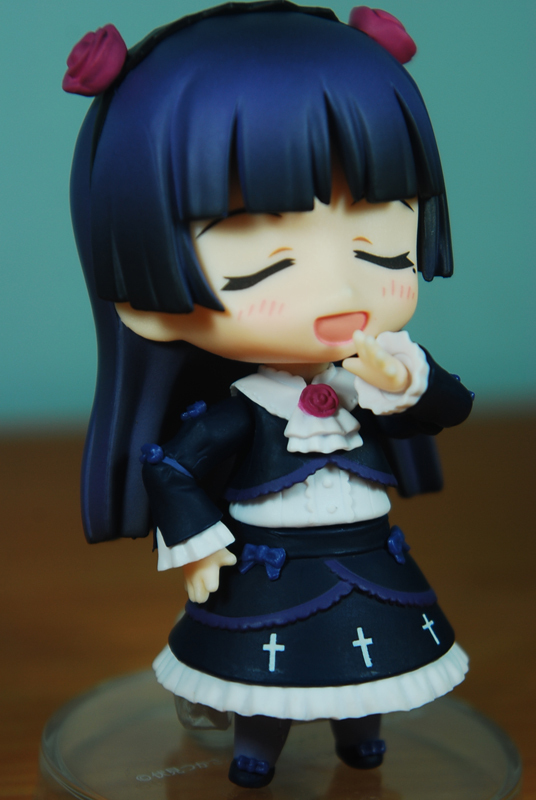 the paint job is solid specially on her dress with the detailed frills and the white crosses. 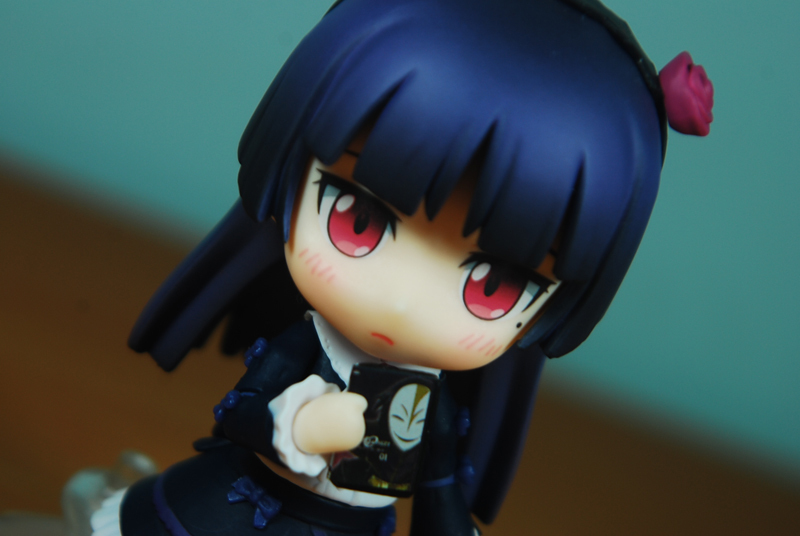 Kuroneko comes with a blank DVD/book cover and she comes with a variety of stickers for it. I chose the Maschera DVD because it suits her more. 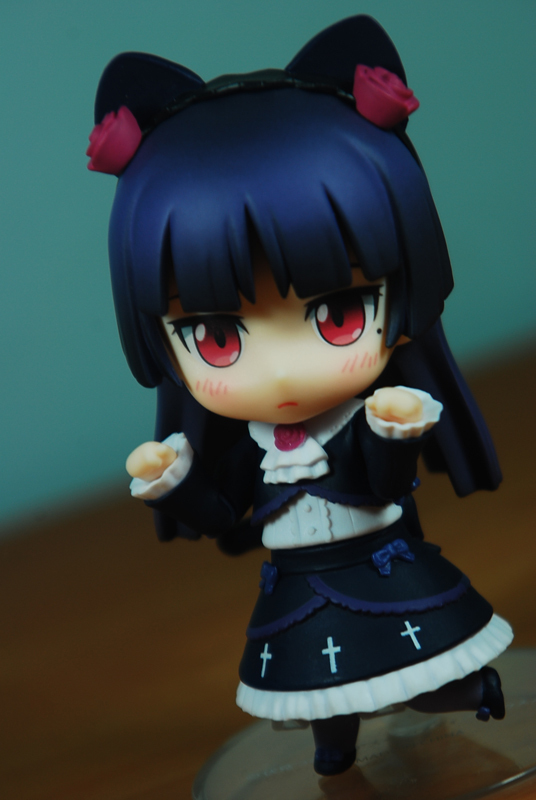 She also comes with Neko ears and a tail also which emphasizes the “Kuro-neko”. And even two bent legs for that cute pose. Personally this is one of the reasons why I bought this its because it really suits this fig specially in Nendo form. Regarding her face plates she comes with 3 face plates first is the normal face which was shown on the 3 previous images. And this face is also epic. Which is her bragging face. 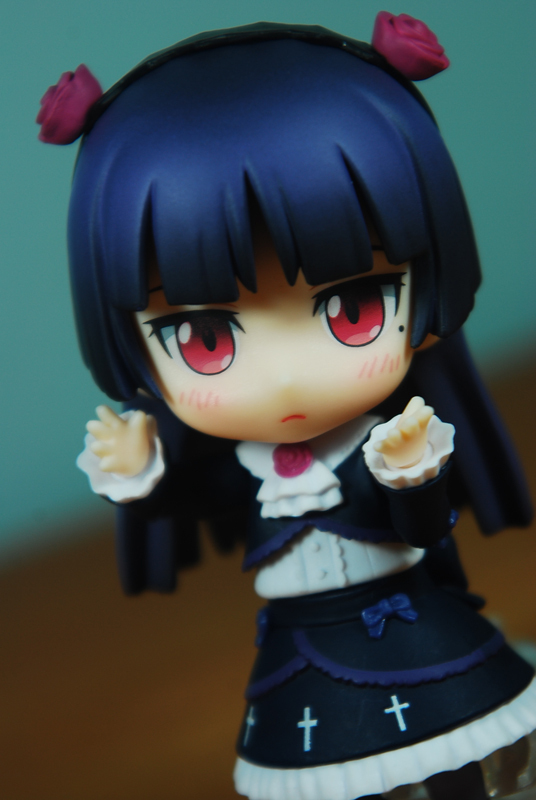 Typical Kuroneko attitude in a smaller and cuter scale. 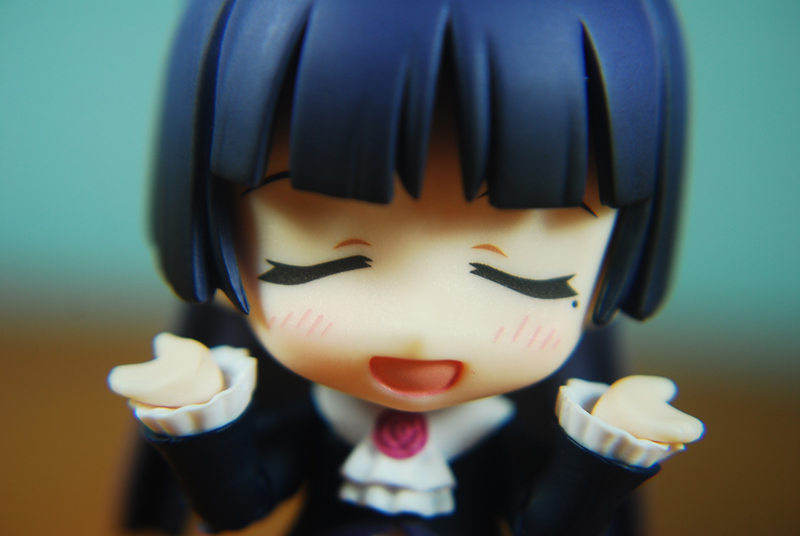 What I also love about this Nendoroid is that she as two arms that can be adjusted to make different poses like this. She looks like she knows kung-fu because of those hands :). And her final face plate which is her arguing face. 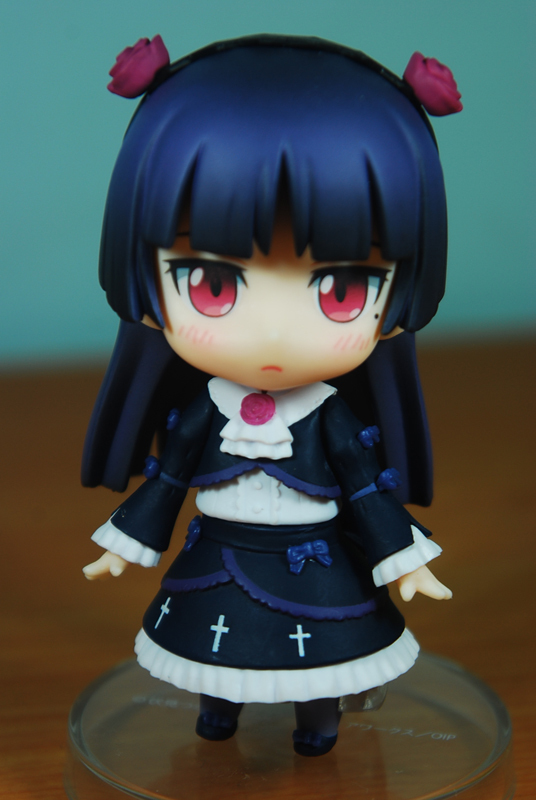 This face plate is classic Kuroneko. There are so many possibilites with this Nendoroid and its worth every penny specially if you follow the anime and love the characters. Shots taken with Nikon D80 some shots with macro lens. 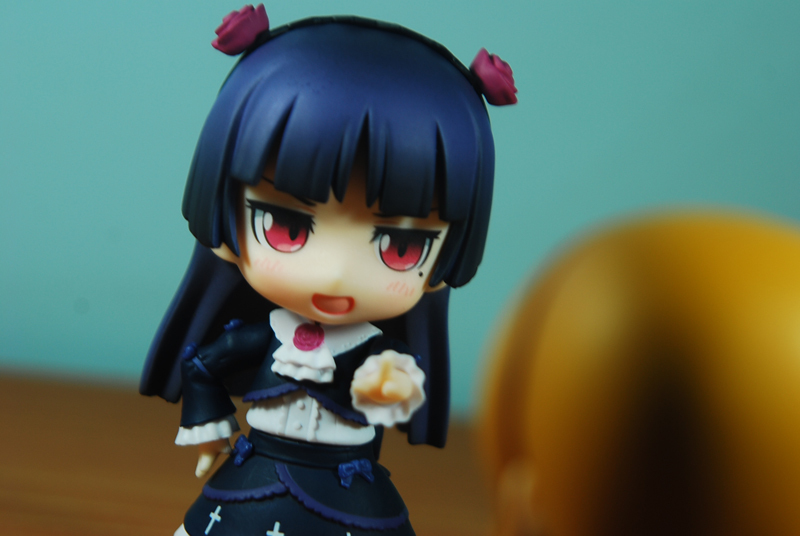 This entry was posted in Figure Review, Figure Shoot, Nendoroid and tagged Good Smile Company, oreimo by Kai. Bookmark the permalink.